There is a very simple rule for staircase maintenance. Choose your materials and stair parts with care when you first install them, and free yourself from the need to maintain them regularly. Let me explain. The secret behind most well-maintained (and great looking) staircases is a judicious selection of high quality stair parts. 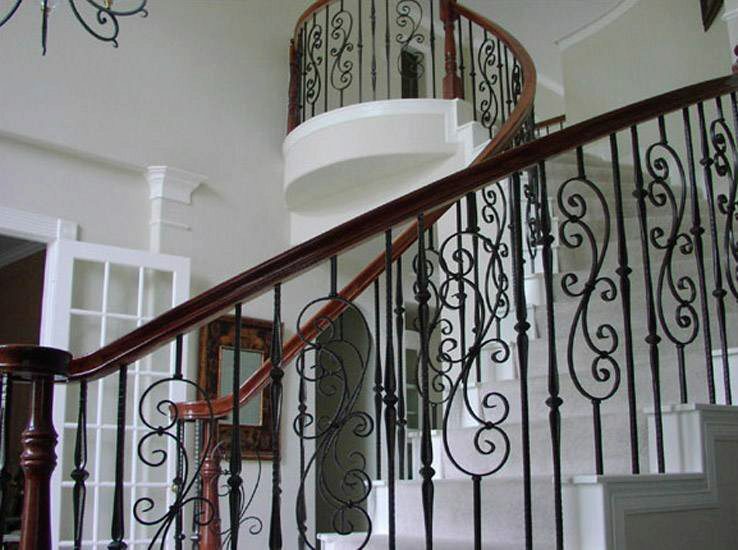 For example, if you choose to install a set of wrought iron baluster, you will be happy to discover that you need very little effort to maintain them. Wrought iron parts are easy to maintain (just an occasional wipe with a cloth is all they need), extremely sturdy and durable, and very cost-effective in the long run. The same goes for every other stair part, be it the stair tread, the stair railing, the newel post or the baluster. The right material and a professional installation will save you a lot of trouble in the future. Stair remodeling costs money. We understand. Some remodeling or renovation jobs can be fairly extensive in the amount of time they require, or in the cost they incur, while a few others can be accomplished within a couple of days and at a comparatively lower cost. What is important to remember is that you should always insist on the best quality products as far as possible.